Plus 2 Mint Condition Tickets ( Woburn Abbey, England - 29 July 1990). All pages are complete, clean, unmarked, fully intact and bound and with no tears or writing of any sort. Your brochure etc. will be placed between. Contains CD and Cassette of Foreign Affair Album neither have ever been played and booklet. Both CD and Cassette have stickers saying " Property of manufacturer, not for sale". Presented to Rupert Hine By The Executives Of Festival Records For The Outstanding Achievement Of Attaining An Australian Platinum Award For The Album 'Private Dancer' - Tina Turner February 1985 A Real Piece Of Music History! Long Live The Queen Of Rock 'N' Roll, Tina Turner! Other than that it's a nice collectable piece. AUTOGRAPHED PHOTOGRAPH. ORDER NOW FOR "SUPERFAST" DISPATCH. Tina Turner Wildest Dreams Platinum CD Award Check Out My Other Auctions! Tina Turner 50TH ANNIVERSARY TOUR EUROPE 2009 PROGRAMME INCLUDING TOUR TICKET FOR MANCHESTER ARENA Nice condition with a few minor scuffs on front and back covers Very collectable especially with original tour ticket. Inside is spotless with excellent tour photos and details. Item not despatched until payment is cleared. Tina Turner Break Every Rule BPI Certified Sales Award A real must for a true Tina Turner fan! THE SMASH HITS COLLECTION 86. ISSUED IN 1986. STICKER # 35. In lovely presentation box. Get Images that. THIS IS IN VERY GOOD / EXCELLENT CONDITON. Title: Foreign Affair. Release Date: 1994-09-09. Condition: Good. Product Details. Plus Press Cuttings and 2 Tickets (Hampden Park, Glasgow - 7 July 2000 ). The cuttings are as shown and refer to the Don Valley (Sheffield) concert and to the one at Hampden Park. "Twenty Four Seven World Tour 2000" UK Tour Brochure. All pages are complete, clean, unmarked, fully intact and bound and with no tears or writing of any sort. Your brochure will be placed between. WORLD ZONE 2. WORLD ZONE 1. Tina Turner Wildest Dreams World Tour 96 concert programme. Tina Turner Wildest Dreams World Tour 96 concert programme.. Condition is Very Good. Dispatched with Royal Mail 2nd Class Large Letter. TINA TURNER UNSIGNED PHOTO - 8141 - BEAUTIFUL!!!!! USED THERE MAY BE MINOR AGE/ STORAGE WEAR. check photo. CARD # 186. ISSUED IN 1988. IN MINT CONDITION. 10" x 8" UNSIGNED photograph. 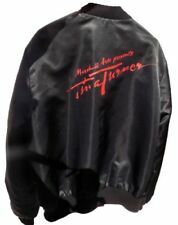 New listingTINA TURNER Red waterproof Tour Jacket with Hood. Red. X.Large. TWENTY FOUR SEVEN MILENNIUM Tour 2000. TINA TURNER UNSIGNED PHOTO - 8140 - STUNNING!!!!! EDICIONES EYDER. SUPER MUSICAL. ISSUED IN 1984. Rare & valuable collectors item! Success followed with a string of notable hits;. Born and raised in the USA, she is now a SWISS CITIZEN. A LEGEND AND HIGHLY COLLECTIBLE AND PRICELESS 1985 ACTION SHOT;. He is primarily known for his saxaphone work supporting INA TURNER in the 1980`s and 90`s, as well as for his musical performance in the 1987 VAMPIRE film THE LOST BOYS. Rare & valuable collectors item!
" Wildest Dreams" 1996 World Tour Brochure. All pages are complete, clean, unmarked, fully intact and bound and with no tears or writing of any sort. Your brochure will be placed between. WORLD ZONE 1. Tina Turner UNSIGNED photo - K8822 - STUNNING!!!! TINA TURNER UNSIGNED PHOTO - 8131 - STUNNING!!!!! 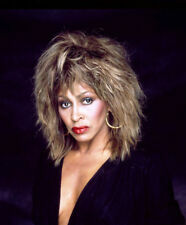 TINA TURNER UNSIGNED PHOTO - 8142 - GORGEOUS!!!! !